I am and will always be an “Outrageous” sales professional. I will always live my life and succeed as the Ultimate Sales Master. I hope that I have challenged the way you think, act, behave and challenge yourself in your every endeavor. The Sales Assassin Master needs to be a smart and practical thinker transforming yourself into a tenacious business improvement specialist. This is the challenge and attitude that you must take in your engagements with clients.Find your SAM DNA… Find Your Outrageous commitment to success… Become the Sales Assassin Master. We must get ready for tomorrow, today. That’s what this book is all about. 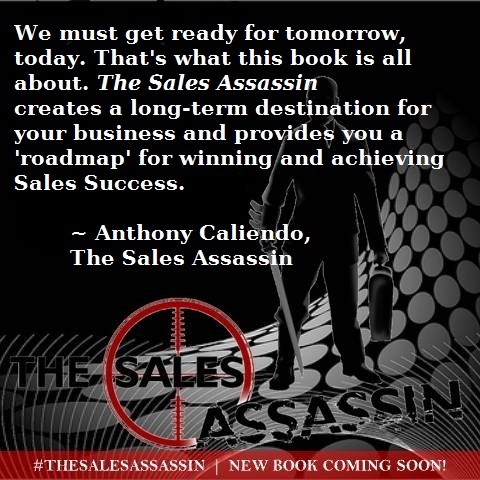 The Sales Assassin creates a long-term destination for your business and provides you a “Roadmap” for winning and achieving Sales Success.